We’ve finally started the development of our new and first ambitious Project. Our general planning is almost done and Wiebke has started to illustrate the first scenes of the story. Our plan is to present you some parts of the illustrations without spoiling the story plot. As we progress further with the development of the actual interactions and games, we will record some showcase videos. 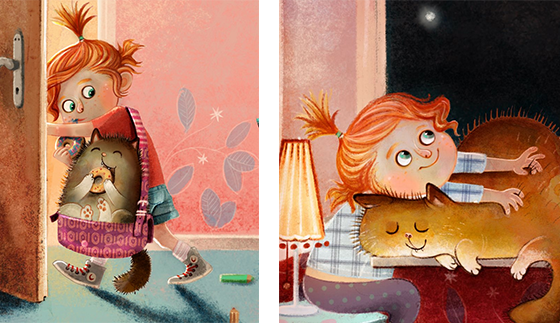 This time we reveal the main character Katrin and her lovely cat Clemens. Both will accompany you in the story and together you will reveal a well kept secret!